The forecasts are grim and time is running out, but that's not the end of the story. In this book, Fred Krupp, longtime president of the Environmental Defense Fund, brings a stirring and hopeful call to arms: We can solve global warming. And in doing so we will build the new industries, jobs, and fortunes of the twenty-first century. 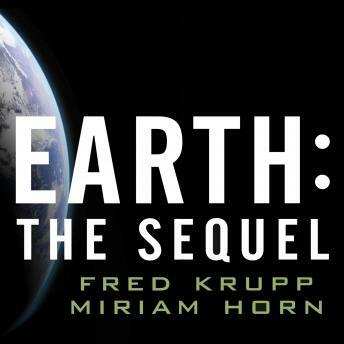 In Earth: The Sequel, listeners will encounter the bold innovators and investors who are reinventing energy and the ways we use it. Among them: a frontier impresario who keeps his ice hotel frozen all summer long with the energy of hot springs; a utility engineer who feeds smokestack gases from coal-fired plants to voracious algae, then turns them into fuel; and a tribe of Native Americans, fishermen in the roughest Pacific waters for 2,000 years, who are now harvesting the fierce power of the waves themselves. These entrepreneurs are poised to remake the world's biggest business and save the planet-if America's political leaders give them a fair chance to compete.